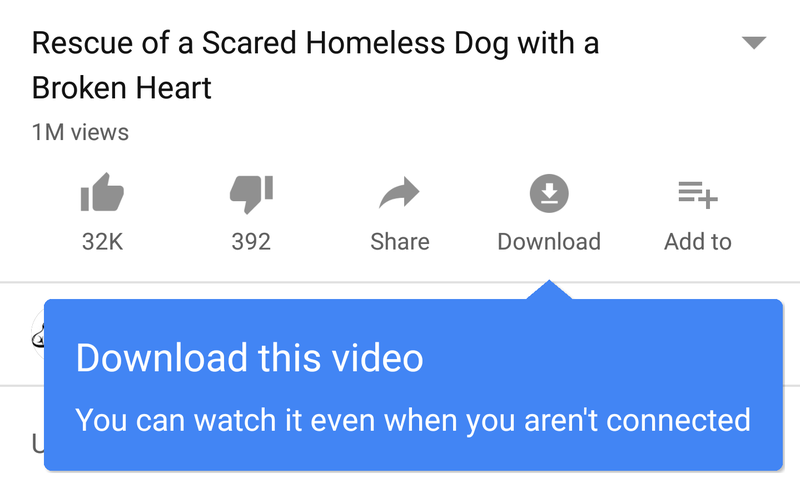 About a month ago, we noticed that the ability to download YouTube videos for offline viewing had rolled out to more countries. At the time, we were able to confirm Lebanon, Iraq, Morocco, Azerbaijan, and UAE had it based on our devices and reports from our comment section, but we knew there must have been more. And more there is, in fact many many more. The list of countries with support for YouTube offline viewing and downloading used to have only 16 countries (India, Indonesia, Malaysia, Pakistan, Yemen, Egypt, and 10 others). Now 109 countries have been added for a total of 125. 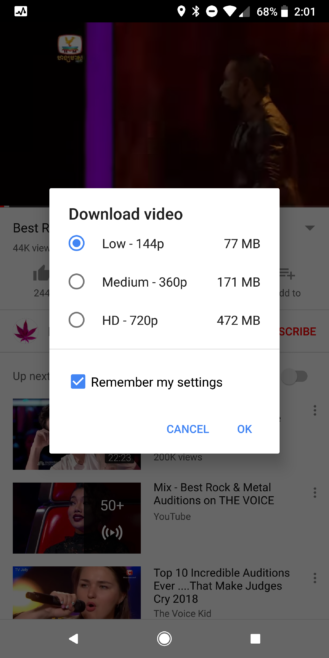 This coincides with the expansion of YouTube Go to more than 130 countries, so it looks like these same countries will get Go and in the same go (hah) the option to download videos in the full YouTube app. That's handy if you don't use the dedicated mini app. If you live in one of these countries, the option has most likely rolled out to you already and you've probably noticed the 4th Download button below any video. If not, do check for it again and it should technically be there or show up soon. And if you don't live in these countries, then I'm really sorry for you. 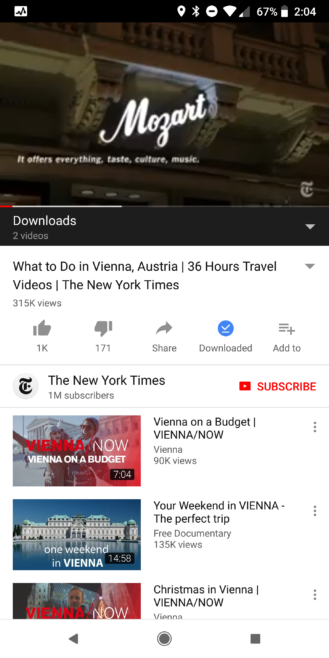 There are many "unofficial" solutions to watch YouTube offline or you could sign up for YouTube Red if it's available to you or wait until it comes to you. It's worth noting that Google has a small disclaimer at the top of the list stating that, "Please note: YouTube may not be launched in the following locations and therefore may not operate in these territories. We are working to launch more territories and bring a localized version of YouTube to more countries." It's tough to explain how YouTube could not be launched in a location but still have offline video support, but from my quick research it seems that some countries have a limited ban on YouTube, so that would explain how the service isn't accessible to everyone there but supports offline downloads where it's available.